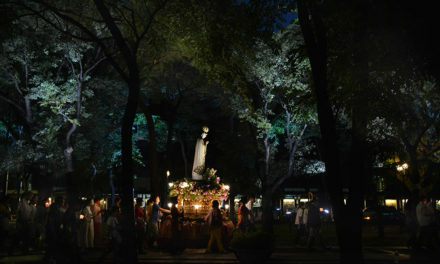 Marilao’s image of Nuestra Señora de Divina Gracia (Our Lady of Divine Grace) welcomes the pilgrim image of St. Anne from the National Shrine of St. Anne in Hagonoy, Bulacan during the celebration of Velada Marileña, in the spirit of August’s celebration of Buwan ng Wika and National Heroes’ Day. MARILAO, Bulacan – The parish community of St. Michael the Archangel in this town welcomed with open arms the pilgrim image (Viajera) of St. Anne and the Child Virgin Mary or La Niña Maria of the National Shrine of St. Anne, Hagonoy, Bulacan during the parish’s celebration of Velada Marileña, which aims to promote awareness of Filipino patriotism in harmony with Filipino spirituality throughout August, Buwan ng Wika, and to mark Aug. 28 as National Heroes’ Day, a tribute to the country’s pride. 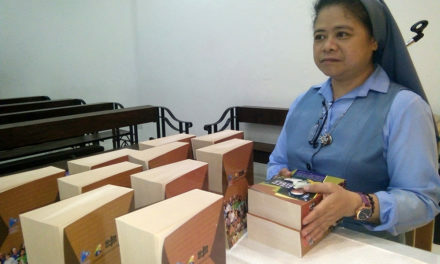 The pilgrim image of Sta. 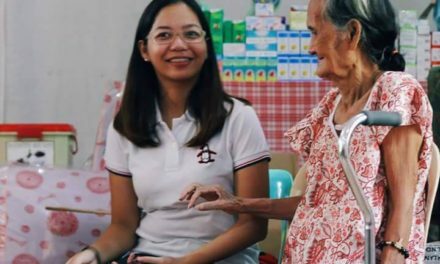 Ana y La Niña Maria de Hagonoy’s visit from Aug. 25 to 27 was made possible through the participation of Hagonoy shrine devotees as the visit was also held within the celebration of the silver jubilee of the parish of St. Anne in Hagonoy as a national shrine. 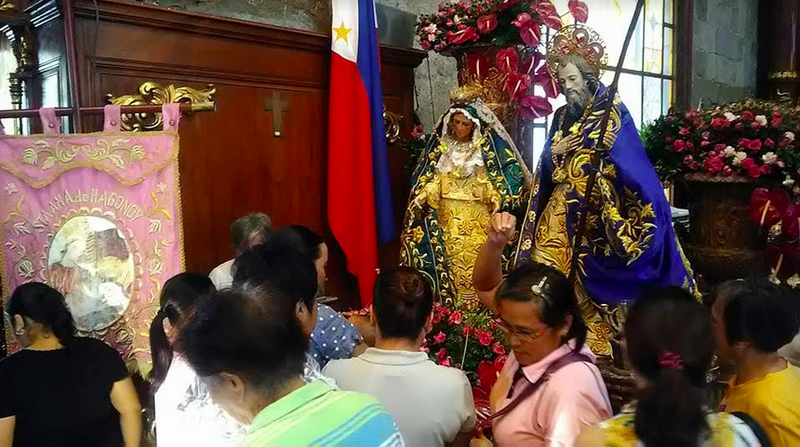 The image of the Virgin Mary’s mother was welcomed to the parish church by the image of her daughter Mary, venerated in the town of Marilao as Nuestra Señora de Divina Gracia (Our Lady of Divine Grace). Fr. Alberto D.J. 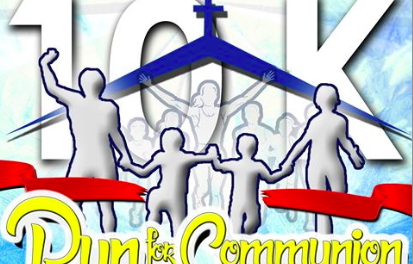 Santiago, parish priest of St. Michael the Archangel Parish – Marilao, explained that the event emphasized how Filipino Catholics’ devotion is a way to understand one’s conviction in line with patriotism and moral conscience. Dressing up for the occasion, parishioners came in Filipinana attire during the celebration of the Holy Eucharist. A parish fellowship also followed at the parish patio to pay tribute to Filipinos’ love for the Church and for the country.